Temporary road closure between Shepherds Ford Bridge and Chapel Hill, Longdown to facilitate patching works. Works are expected to last until the 5th April 2019. Full details are available on the devon.roadworks.org website. Closed Section 1 – Chapel Hill, B3212, Noglands Farm, Sheperds Ford Bridge Beacon Down Cottage, and vice versa. 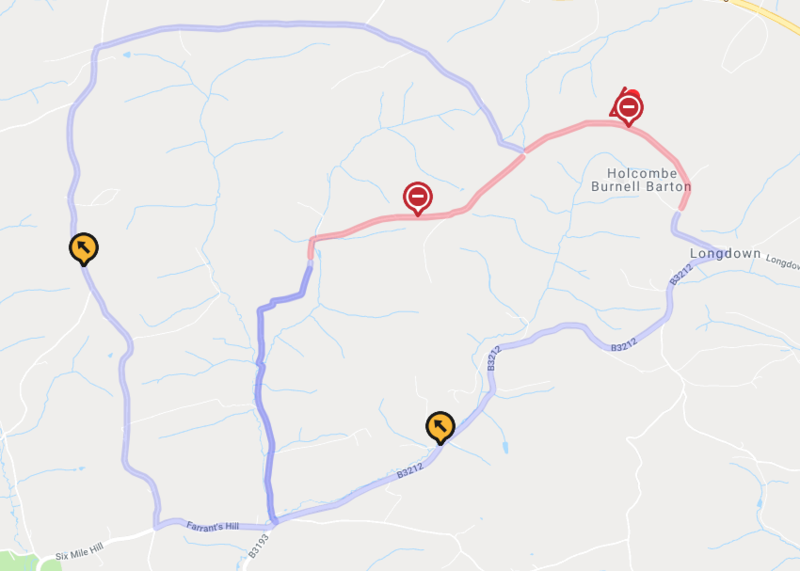 Closed Section 2 – Noglands Farm, Farrant’s Hill, Two Crosses, Kelland Corner, Home Gate, road past Halastow Gate, road past Grenfell Farm, Barton Head, and vice versa.